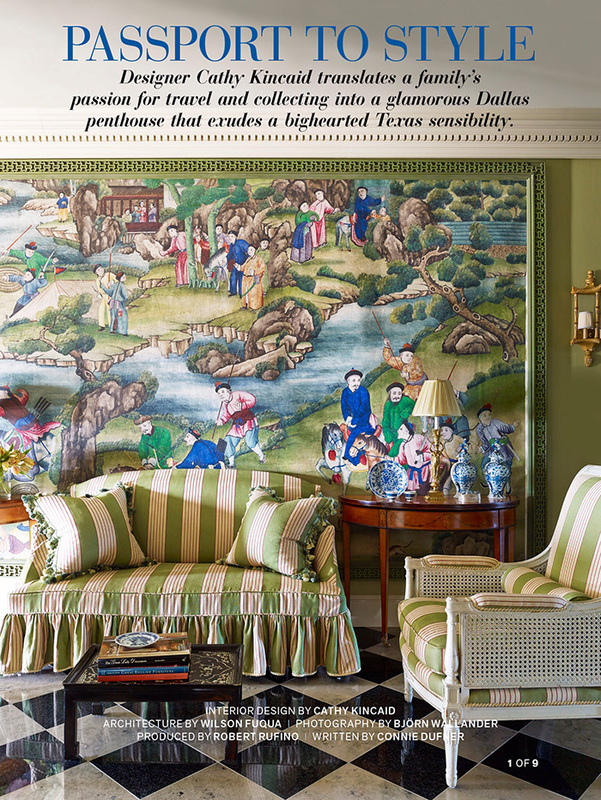 The two jaw-dropping images above are the work of Dallas interior designer Cathy Kincaid. I'm completely in awe of the Chinese hand painted mural -- those colors -- so rich and beautiful. Cathy Kincaid frequently incorporates blue and white accessories into the gorgeous spaces she creates, and the way she's done that here is perfection. The number of items she's used add to the room without being a distraction. 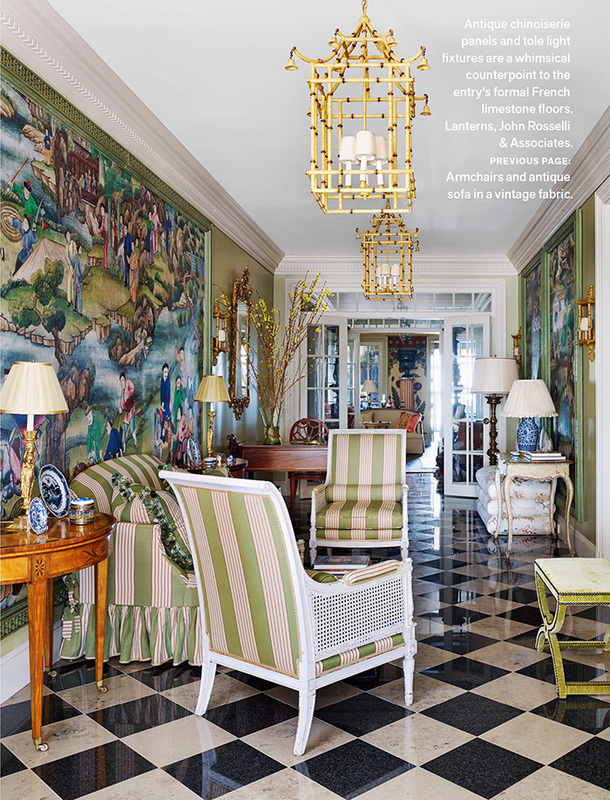 The feature of this Dallas space alone is worth picking up the May-June issue of Veranda, but there's so much more in this issue to enjoy if you don't already have it. Lauren Muse, of Muse Interiors, achieved casual, minimal elegance in the family friendly beach house featured in AD's June issue. This entire space is amazing, and I'll share more about it very soon. 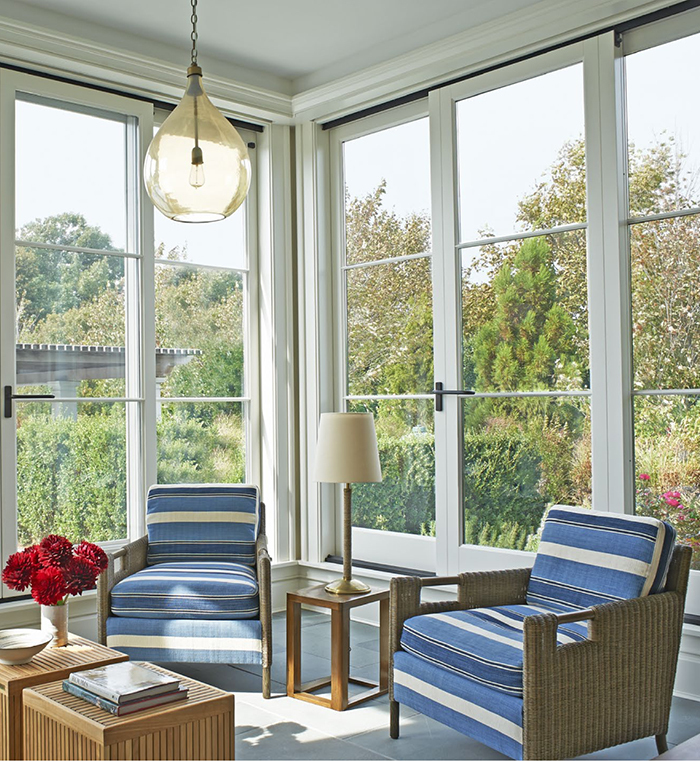 For now, though, what about those striped chairs? I'll definitely be scouring the source pages for that fabric. The Traditional Home July-August 2015 issue features the Hampton Designer Showhouse, and includes this adorable, happy upstairs landing by Elle Clymer and Stephanie Woodmansee of Henry and Co Design. Here, too, I love the incorporation of blue and white accessories. They can add so much to a room without having to be the main event. 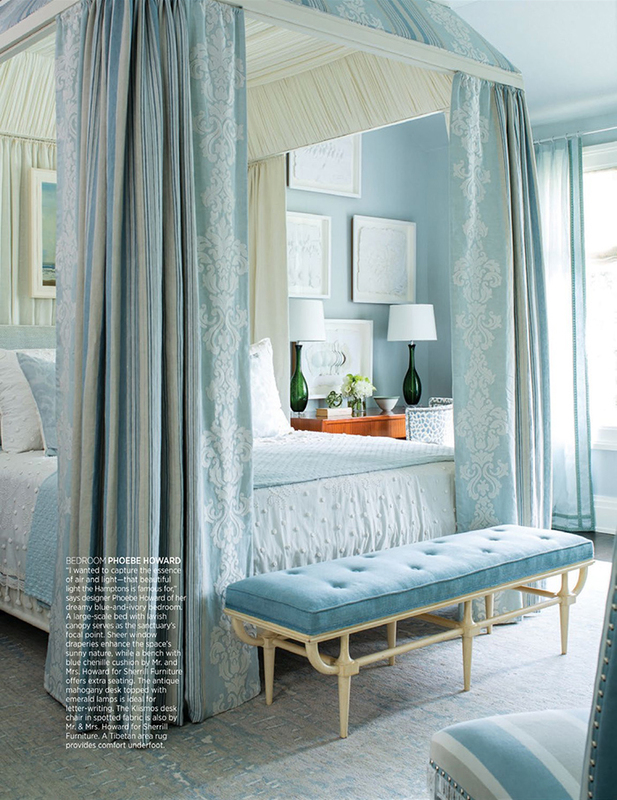 This beautiful, serene bedroom by Phoebe Howard is also a part of The Hampton Designer Showhouse. There are several other gorgeous features included in this issue of Traditional Home. 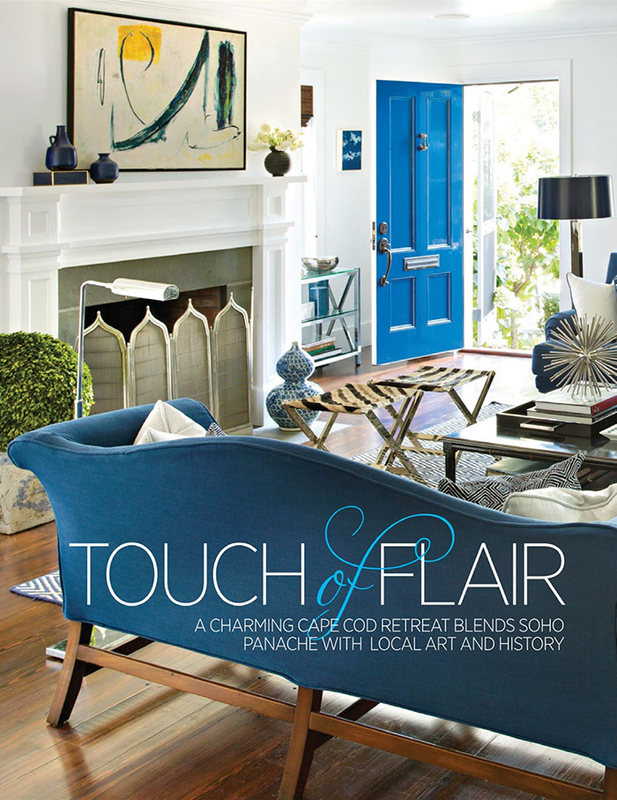 One of my favorites is the article sharing the charming Cape Cod home of Flair New York's co-owner Jon Maroto. I'll share more on this feature, soon.